One of the most critical applications for a valve in a wastewater treatment plant is controlling the Influent entering the plant. Before any treatment steps have been taken, the incoming flow will contain a wide range of pollutants and obstructions including raw sewage, industrial waste, agricultural waste, greases and fats, plastic bags and bottles, vegetation, litter, sand and gravel. These materials make influent a very unpredictable substance to handle. 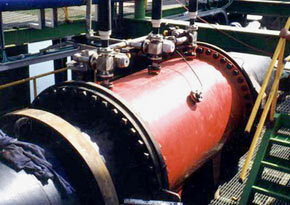 Further compounding the problem, most influent lines are large in diameter and difficult to access. Some are used only for emergency situations and must sit dormant for long periods of time before being called upon to close. As a result, any valve installed for use as an influent flow control valve must be incredibly rugged, reliable and able to handle anything that comes through the sewer lines. Red Valve's Megaflex Valves are ideally suited for influent flow control because they are more reliable and economical than other types of valves. The Red Valve Megaflex Valve's full-port opening and elastomer sleeve allows no obstructions to the flow - any obstruction that will pass through the pipe will also pass through the valve. There are no areas where debris can collect and the flexible, yet rugged walls of the sleeve seal tight around small debris lodged in the sealing area. Because the sleeve is the only wetted part of the valve, there is no packing to maintain or seats to replace. 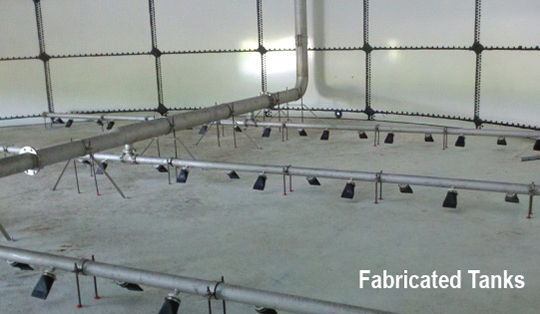 Tideflex® Systems have been installed in all tank construction variations; concrete tanks, bolted steel tanks, and lined lagoons. Equalization tank mixing systems are very similar to the design and operation of stormwater containment systems. They can be operated in a variable volume mode where the mixing system provides solids suspension and residual dissolved oxygen adequate to keep the process fluid aerobic. If an anoxic process follows to the equalization tank, then a hydraulic mixing and recirculation system should be considered. Refer to the Tideflex® HRMS Mixing System.